Paying taxes is no fun. Many grown women would rather take a trip to the dentist than put their returns together. It’s difficult, and potentially painful. Then there’s the fear you’ll end up paying way more than you can afford. You can avoid the agony of over-payment. Ensure you’re withholding the right amount from your weekly paycheck. Figuring out that magic number is tricky--it might require professional assistance. First, let’s look at some of the basics. Then, we’ll talk about impactful life changes, when to adjust withholding, and why professional expertise can benefit. ... It might require professional assistance. As arbitrary as the amount the IRS takes from you might seem, it’s not. The government determines the amount with the help of your Form W-4. It takes your pay, then figures in the amount to withhold from your wages. Things like marital status and number of jobs are taken into account. It works smoothly if you’re one of the millions of workers who’s single and only has one paying gig. The wrinkles occur if you fall outside the narrow “standard taxpayer” parameter. Do you have more than one job? Are you married? Jobless? There’s a whole herd of life factors and changes that can alter your W-4. It’s important that your W-4 reflect those changes. That avoids withholding the wrong amount--and nasty surprises on your tax returns. A long list of factors justifies an edit to your your withholding. Basically, they all boil down to life changes. Major or even medium-size shakeups in your life stand to impact your tax bill. Here’s a few you should know. If you picked up another gig, that’s a solid reason to adjust your withholding. It doesn’t matter if it’s another full-time job, weekly retail shift or a new home business. Any job you pick up impacts your tax liability. Did your partner just get a new job, or win a promotion? Congratulations! 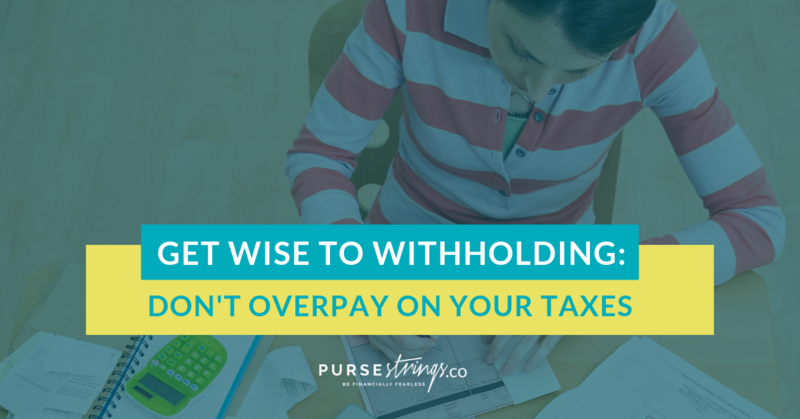 Don’t forget to adjust your withholding. That ensures you lovebird joint filers are in good shape at tax time. Separating from your partner? You’re also saying goodbye to marriage tax benefits. Impactful changes also come when you’re forming a union. Adjust your withholding as soon as possible. Losing your job--even if it’s only temporary--impacts your standing with the IRS. Withholding too little from unemployment benefits is all too common. Make sure you adjust when you’re laid off. Then, do it again when you rejoin the workforce. Adding to your family is more than just a change in the shape of your household. It’s a change in your tax status. Birth, adoption, using child-care professionals--each circumstance impacts your taxes. Take advantage of any deductions you qualify, and adjust your withholding accordingly. Major or even medium-size shakeups in your life stand to impact your tax bill. How do you change your W-4? Adjusting your withholding should be relatively straightforward. 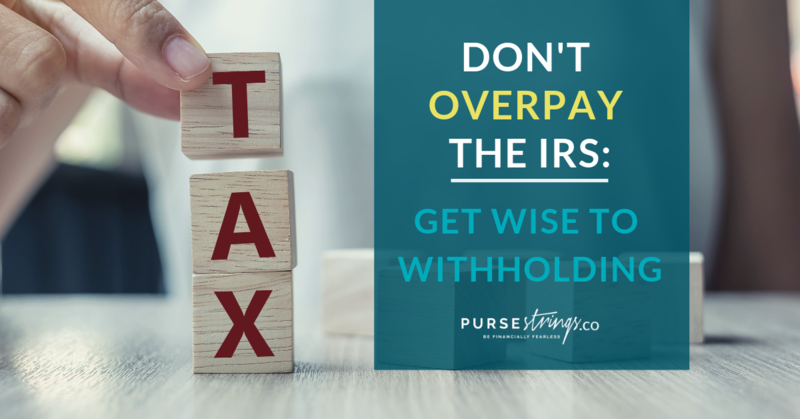 The IRS offers a withholding calculator designed guide you through the process. However, even with the handy gadget, it’s not exactly easy for a layperson. It remains confusing, and there’s no guarantee you’ll end up with the right number. Another option: turn to a professional. The straightforward process of adjustment gets complicated if you throw in multiple life changes.Alimony, charitable deductions, medical bills and other expenses add to the potential headache. Reach out to a Purse Strings Approved professional for guidance. These pros are attuned to the specialized needs of female customers. There’s no one better to trust your money to.